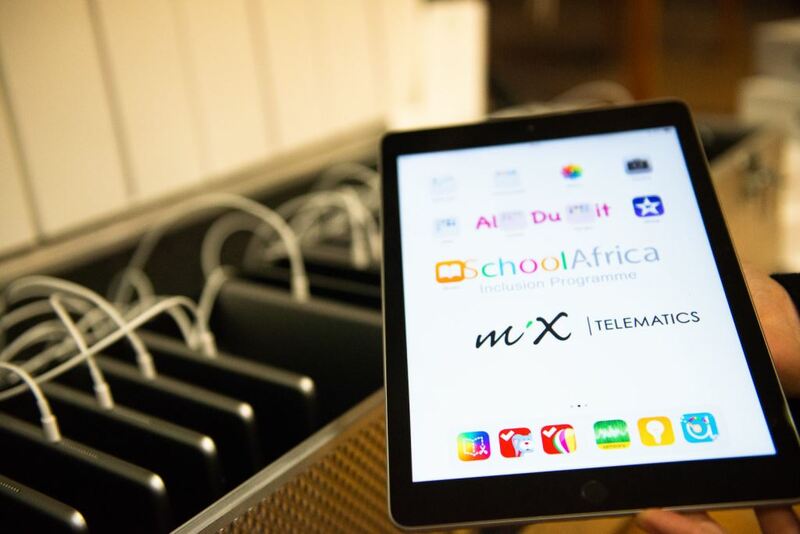 In partnership with iSchool Africa, MiX Telematics donated 50 Apple iPads and other technology equipment to both the Vera School for learners with autism and the Alta du Toit school for learners with intellectual and physical difficulties. 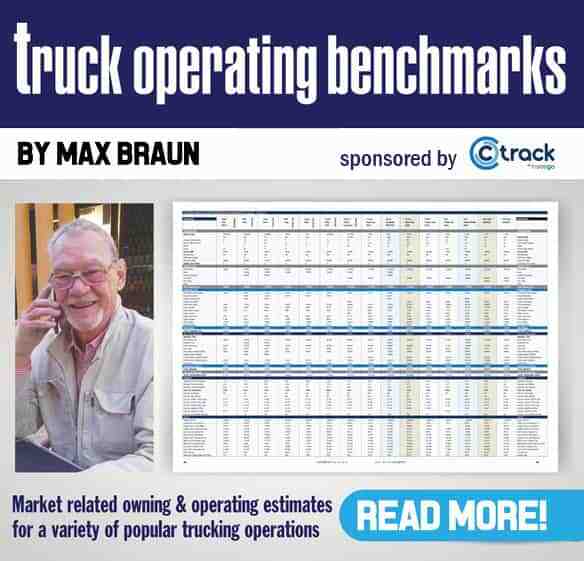 FleetWatch has always contended that the trucking industry has a huge heart as evidenced by the many goodwill gestures carried out by players in this sector. Despite at times having to ride rough economic seas, it is an industry sector which is always willing to give back to communities in so many ways. Here are two more examples of this heart pumping in action. Following the recent launch by MiX Telematics of an iPad Lab at the Phelang school in Gauteng – which included a donation of much-needed technology equipment for the school’s newly developed lab – the company, in partnership with iSchool Africa, is continuing to empower teachers and learners with educational technology and classroom practices that assist learners overcome their learning difficulties. Just last week, MiX Telematics donated 50 Apple iPads and other technology equipment to both the Vera School for learners with autism and the Alta du Toit school for learners with intellectual and physical difficulties. 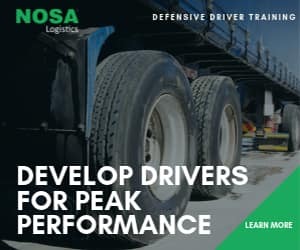 “Just as our customers leverage our technology to improve their operations, so too can technology be used to help learners acquire new skills. With the help of the dedicated teachers at these schools, we are looking forward to seeing the learners embrace the change and improve their learning capabilities over time,” says Lewis. And while MiX Telematics is moving the world forward with educational technology and classroom practices that assist learners overcome their learning difficulties, Engen has made sure that 80 intellectually disabled pupils studying at the Mount Fletcher Special School in the rural Eastern Cape will now be able to sleep in comfortable, warm beds thanks to a donation of new beds to the school. The Engen handover of beds and mattresses to Mount Fletcher Special School in the rural Eastern Cape was attended by many dignitaries including Education MEC Mandla Makupula, seen here addressing the audience. It’s off the cold floor and into a warm bed for 80 intellectually disabled pupils thanks to this donation. 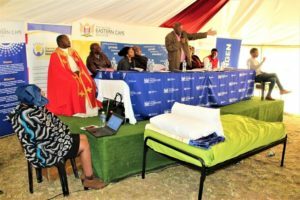 The Engen handover of beds and mattresses – totalling R250 000 – will get the children off the cold floor where they have been forced to sleep after a spike in enrolments at the school in Xaxazana, Mount Fletcher this year. “The situation had become urgent and we are extremely grateful to Engen for stepping up,” says Thabiso Phetuka, chief executive officer of the Eastern Cape Disability Economic Empowerment Trust, of which Engen is a partner. The Eastern Cape Education Department provided bedding for the new beds, as well as water tanks for the school. Adhila Hamdulay, Engen’s CSI manager, says while this commitment to people with disabilities is in line with the company’s CSI goals, it is about much more. “We know this is a key area of need, and the evidence lies in the fact that without our intervention, these learners may have had to spend the winter sleeping on the cold floor. We are humbled to be able to play a part in improving this situation and ultimately helping them to learn and succeed so they can fulfil their potential,” she says. Eieeesh! It’s all good stuff and FleetWatch lifts its hat to MiX Telematics and to Engen on their noble actions. Way to go!